Today learning happens everywhere, not just in classrooms. But it's often difficult to get formal recognition for it. Open Badges solve this problem by providing public recognition for learning regardless of where or how it happens, showcasing new skills and achievements across the web to open doors and unlock career and educational opportunities. Mozilla is building an open source platform, called the Open Badge Infrastructure, that will make it easy for anyone to issue, collect and display badges. Using Mozilla's Open Badge Infrastructure, any organization, group, course, community, etc. can issue badges backed by their own standards, assessments and seal of approval. 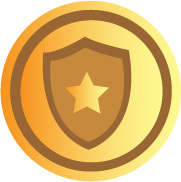 Individuals can then earn badges from multiple sources, collect them in their badge backpack and display them across the web on their resume, personal web site, social networking profiles, employment sites, or just about anywhere they choose. By displaying the skills, achievements and qualities that traditional degrees and transcripts often ignore — including 21st century skills like collaboration and teamwork — badges can tell a more complete story about the people who earn them. And that can lead to jobs, community recognition, alternative professional pathways, and new learning opportunities.